Borscht with mushrooms. Beetroot Hot red soup. Recipes from Russia. It is red hot Soup with cabbage and beetroot. 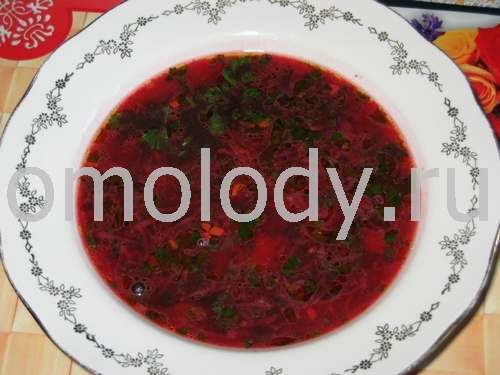 Borscht is the most popular soup of Russian cuisine. 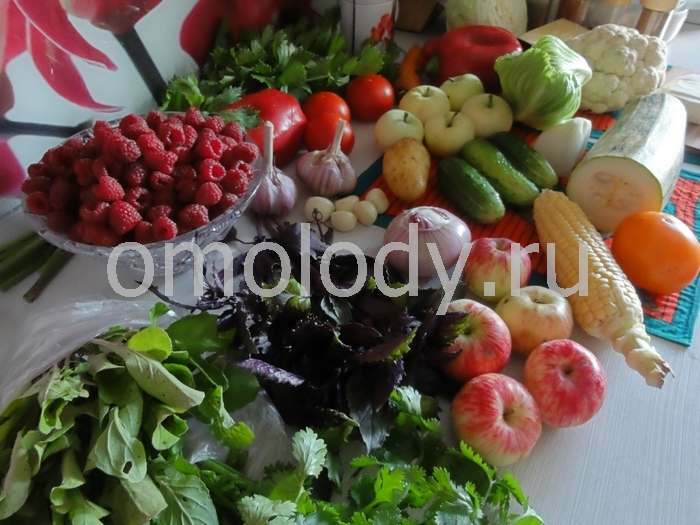 There are Moscow, Siberian, .... and other borsch that reflect national particularities and have their own zest. Claim that shchi and borscht taste much better on the following day after having completely absorbed the flavour of each ingredient vegetables and herbs. Garlic oil from crushed cloves or garlic capsules can heal surface infections, cuts, herpes blisters, and other ailments. 2 tbsp - dried mushroom, washed, soaked overnight (in plenty of water). 300 g (12 oz) beet. 200 g (8 oz) fresh cabbage, shredded. 20 g (1 oz) flour. 10 - 20 g (1/2 oz) sugar. Chopped green Celery, dill, parsley, coriander, green onions, bay leaf, pepper, garlic cloves to taste. 1. Cook meat in the boiled water until done, add mushroom. 3. Then blanch onion in oil until golden, after that add carrot and parsley roots, then add tomato paste (or fresh tomatoes and paprika) to it and stew for 7 - 10 minutes, (use a frying pan). Peeled and grated beet fry in oil (until golden). 4. Put cubed potatoes in broth and shredded fresh cabbage, bring to boil. Cook for 15 - 20 minutes. 5. Add to broth sugar and vinegar, salt to taste. ( If you like, add fried until golden flour). 6. Now add to broth all fried vegetables: onion, carrot, tomatoes, paprika, beet. Cook several minutes. 7. Five to ten minutes before the Borscht is cooked, add: chopped green Celery, dill, parsley, coriander, green onions, bay leaf, pepper, garlic cloves to taste.